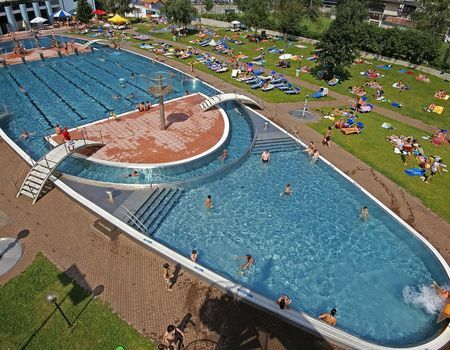 Stay cool in Summer with our small but comfortable outdoor pool, open from July to September. 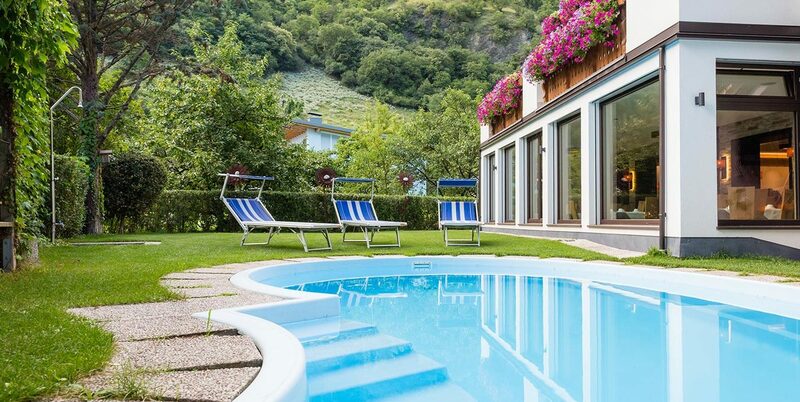 After a fresh dip in the cool water of our pool, relax on the solarium-lawn in the warm sun. 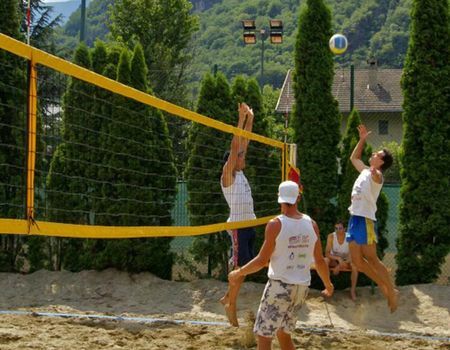 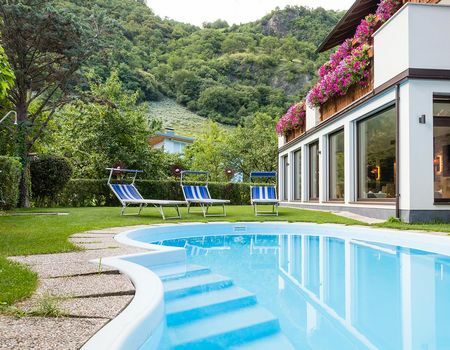 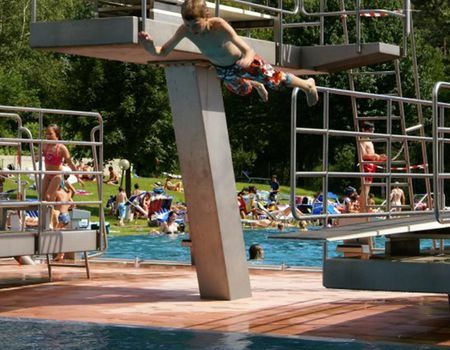 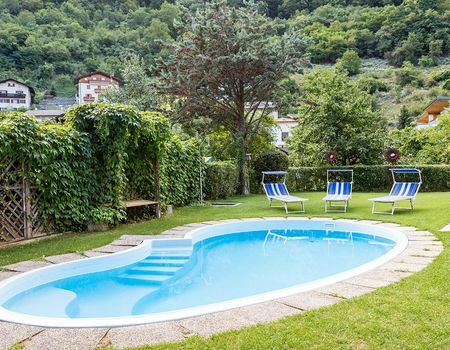 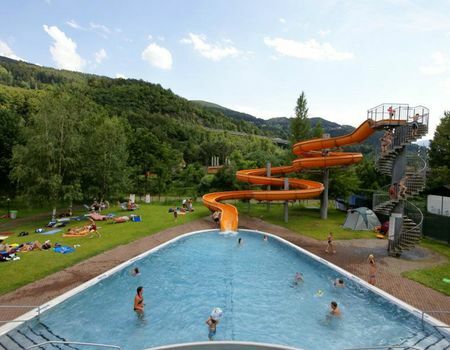 You can also spend a fun-packed summer day at the public pool of Chiusa, located just 100 m from our hotel and therefore easily within walking or biking distance. 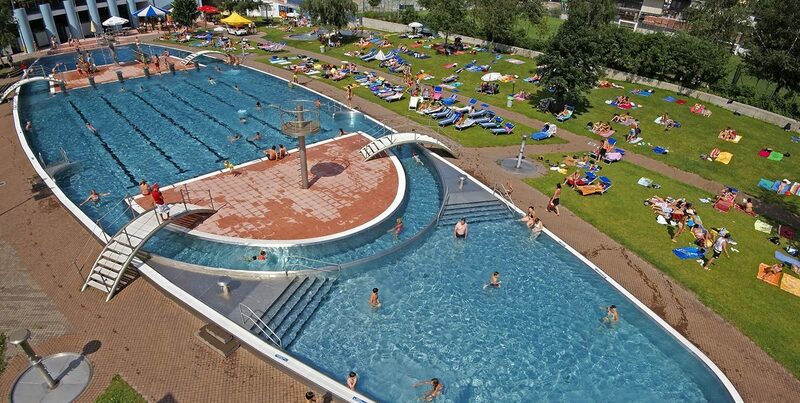 In addition to many other attractions, such as water slides, it also has a children’s pool and a restaurant.